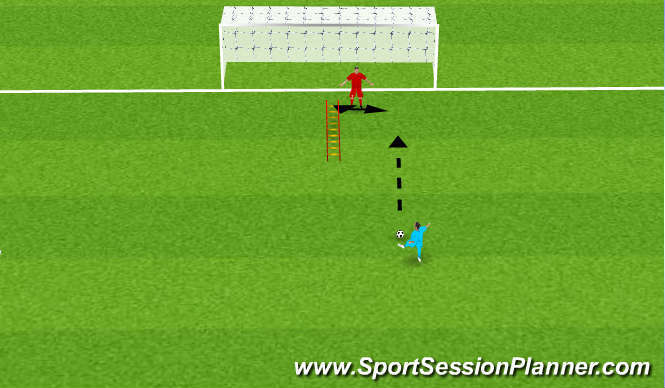 Gk works feet over ladders to receive service from S.
4) As 3 but for low save. 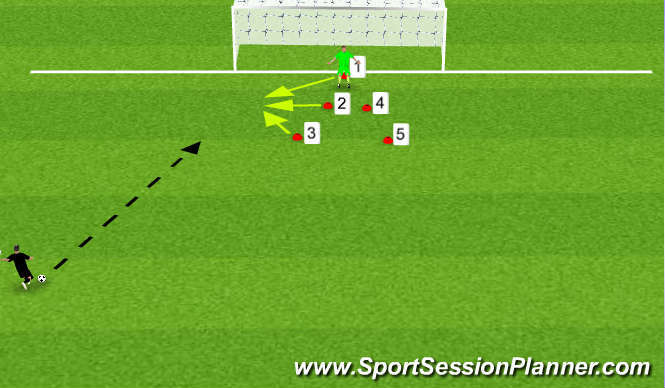 6) As 5 but for low save. Repeat from cones 2,3 and 4. 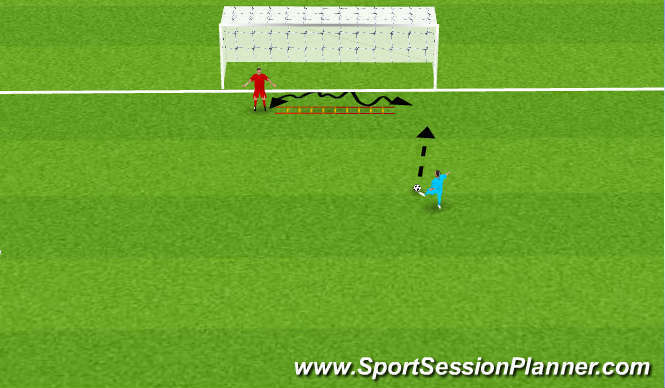 Gk turns off cone 1 to receive servive from S. Repeat from cones 2 and 3.